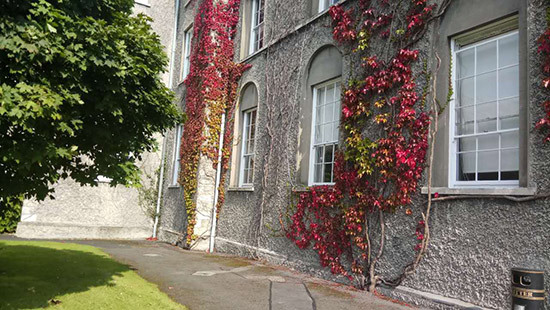 With hope and excitement, I arrived at Maynooth University in September 2016. I am studying for my Masters in Accounting. Ireland is such a beautiful country far away from my hometown in China. So everything here to me is novel and well worth exploring. Ireland’s landscape, its history, its language and its lifestyle have all become the subjects of my interest. I strongly believe this will be one of the most unforgettable study experiences in my life. I am glad to say that it is actually turning out to be an exhilarating experience. Time flies by so quickly. 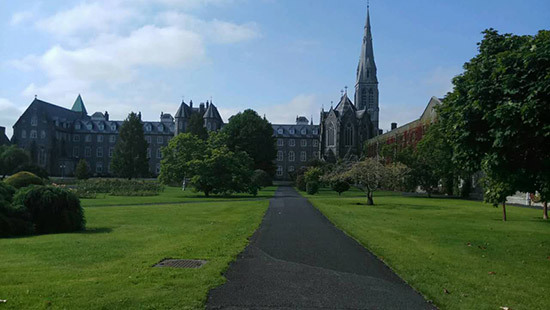 It has been more than two months since I came to Maynooth University from China. I can’t help but share some of my experiences here. 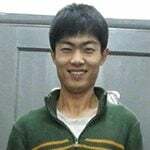 First I want to share something to do with my cosy apartment, which is my sweet home here. I live in a River Apartments, the on-campus accommodation. The environment nearby is very quiet and beautiful with lots of greenery. Inside it is well decorated and the kitchen is fitted out with all kinds of household appliances and all the necessary cooking equipment. My bedroom is well-furnished and comfortable, thus my life here is very relaxed and easy. 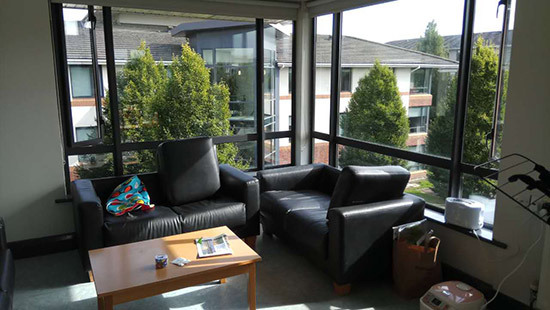 The communal area in the apartment is what I like most. It provides a good place to socialise and party with friends. 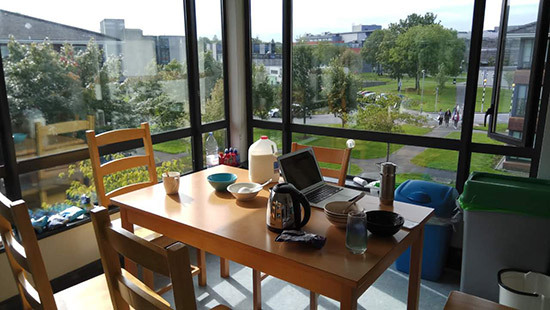 Also, it is very spacious and the big windows around the communal area let in much sunlight, it makes the apartment very warm and bright. 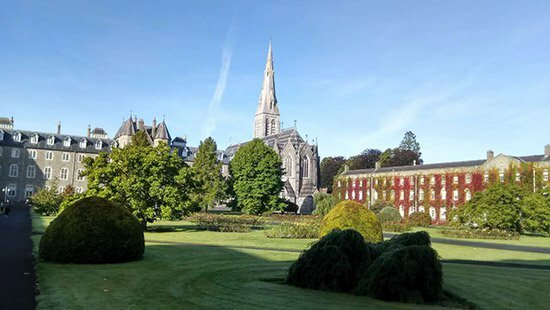 When I first walked into Maynooth University, I was attracted by its beautiful campus. There are two campuses, one is North Campus, a very modern campus well equipped with all sorts of teaching facilities. Another one, contrary to the style of North campus, is much older. 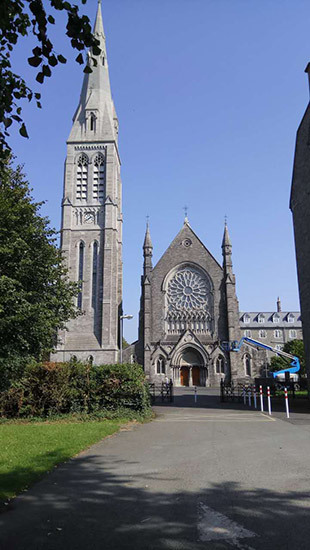 The South Campus was built in the 18th century and has a magnificent towering church. To be honest, this is my favourite part of uni, and lucky me, I even got a chance to visit the church. It’s truly awesome inside. It retains the original 18th-century features with a grand altar in front, everywhere is well decorated with frescos or statues. The historic buildings outside were built to encircle the church at one side, also forming a big square in the middle with green lawn. Some ivy creeps upon parts of the wall outside the building; on a clear sunny day, soft yellow rays shine down and reflects off the shiny green leaves, making it so beautiful just like a picture scroll.